Need legal guidance? Contact us today at (410) 657-5775! When faced with a legal matter, no matter how complex, we understand what actions must be taken to win your case. With decades of combined experience, you can be confident in the abilities of our lawyers at Anthenelli, Phoebus & Hickman, LLC, to successfully resolve your legal matter in an effective and timely manner. We have represented thousands of individuals, litigated numerous high-profile cases and have experience as former prosecutors. Our firm is fully equipped and qualified to handle a wide variety of legal matters. Whether you are facing a criminal defense, family law, personal injury or civil litigation matter – we can fight to protect your rights no matter your legal matter. Anthenelli, Phoebus & Hickman, LLC is proud to provide quality service to residents and visitors of the Lower Eastern Shore, including Somerset County, Wicomico County, and Worcester County.​ We have locations in Salisbury and Crisfield, Maryland. If you or someone you know is experiencing a legal matter, do not hesitate to get in touch with our firm. The moment you secure our representation, we will review your case and inform you of your rights and legal options. We will address each of your concerns and answer each of your questions in order to help you obtain the peace of mind that you deserve. Additionally, we will fully educate you about the laws surrounding your legal matter so that you are more enabled to make informed and sound decisions every step of the way. It is our mission to achieve your goals and protect your best interests. As such, we will work tirelessly in order to ensure we secure a favorable outcome on your behalf. We will build personalized and effective legal solutions and help you navigate through the complexities of the legal system. Make the smart choice – secure our immediate representation. When you choose to retain the outstanding and aggressive litigation attorneys of Anthenelli, Phoebus & Hickman, LLC, you will be represented by a team of legal professionals who are fully equipped and qualified to successfully resolve your legal matter. 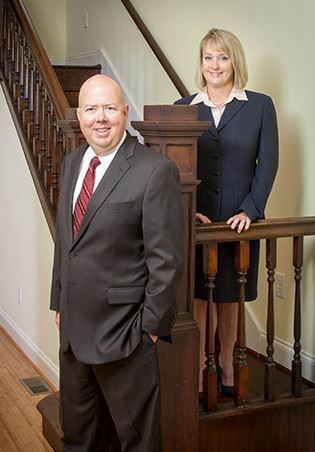 As experienced trial lawyers, Attorney James V. Anthenelli, Attorney John K. Phoebus, and Attorney Kristy M. Hickman, will go the extra mile in order to achieve your goals. "Highest Level of Professional Respect"
At Anthenelli, Phoebus & Hickman, LLC, we represent clients throughout the Lower Eastern Shore of Maryland including Salisbury, Ocean City, Snow Hill, and Princess Anne. From criminal defense cases and family law matters to personal injury claims, as well as civil litigation – our qualified litigators will fight for justice on your behalf. We will take your case to trial if necessary, stopping at nothing until a positive outcome is reached.